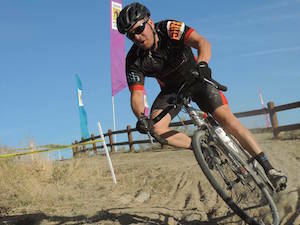 MTBCoach is proud to announce the addition of Associate Coach Ben Stein. Ben comes to us with a wealth of experience and education in exercise science and physiology. Ben’s experience in training and racing endurance sport will no doubt help our athletes. Benjamin (Ben) Stein is a Cat 1 mountain bike racer with nearly 10 years of endurance events experience both in Colorado and Idaho. Ben has a strong passion for coaching and physical activity. He has finished numerous mountain bike endurance events, XTERRA triathlons, 4 x Half Ironman finisher, and avid CycloCross fanatic! “Cross hurts so well”. Along with an experienced race resume, Ben studied exercise science and exercise physiology, earning a Master’s degree in Exercise Physiology. Ben’s thesis research investigated cycling kinematics at a simulated incline on an indoor cycle ergometer, transitioning Ben into a local (Idaho), well-known professional bike fitter and cycling coach. Combining Ben’s skill set with his passion for cycling allows him an in-depth understanding into the human body’s intricate mechanics and physiology. Ben’s ability to integrate his education with his own passion for endurance events provides his clients a unique skill set of physiology testing, biomechanics, coaching, and injury prevention. Ben is currently accepting athletes for all disciplines from his home state Idaho, and anywhere in the world.